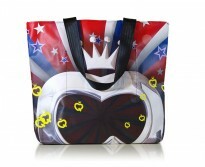 The most colourful, irreverent , crazy and exclusive collections ever made! They will take you out of the dullness of any other regular standard boring bag and capture everybody's curiosity. 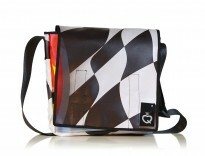 Queever has always been eco- sensitive and always cared about the issue of recycling.This is where our idea of unique pieces came from: bags made exclusively with our banners and posters.